Edited 12:40 PM: Joy of joys!! I actually discovered the CIndy has already posted the recipe for the Warm Cranberry Crumble Tart on her own blog, here. Hope some of you have a chance to make it for the holidays! 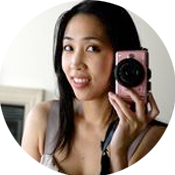 Check out the rest of her blog, as well – it’s great! Ok, before I move on to the topic proper of this post, thank you ALL for the lovely comments you left on the last post! I really loved reading about everyone’s favorite cookies, and I think I have enough cookie suggestions for a sequel to the cookie book;) Thanks also for the wonderful well-wishes; it almost felt like all of you were at my book release party helping celebrate with me! I loved it! And now for the announcement of the lucky winner of a copy of Field Guide to Cookies. I used a random number generator so it was as random as could possibly be, and the winner is…Darla! I’m afraid I don’t have a last name, but I think there was only one Darla in the comments, and I’m e-mailing her, so congratulations, Darla! I hope you enjoy the book! For the rest of you, be sure to go all the way to the end of this post (well, actually, I’d love if you had time to read the whole post too:) ) for another exciting book giveaway! Without further ado, onto my interview with Cindy Mushet! It probably will not surprise anyone that Sur la Table is one of my most oft-visited stores; their selection of kitchen equipment is satisfying wide-ranging and high quality, and I’ve rarely gone there without finding what I need – or several other somethings that suddenly have also become quite necessary. The manager of my local Sur la Table and I are on a quite friendly basis now. Recently, Sur la Table has ventured into the realm of cookbook publishing, a natural progression for a company dedicated to educating and outfitting cooks with tools and toys for the kitchen. Their Things Cooks Love and Knives Cooks Love have been well-received as much-needed resources for home cooks. Sur la Table turned their attention next to the arena of baking, and have come out with The Art and Soul of Baking , an encyclopedic encapsulation of, well, the art of soul of baking. I was lucky enough to be contacted a couple weeks ago and told that Cindy Mushet, the author, would be in town promoting the book, and would I like to interview her. I eagerly accepted, and received in the mail the next day an astonishingly weighty, satisfyingly handsome book that promised to contain all the answers to any pastry question one might have between its covers. Cindy Mushet is a charming, enthusiastic woman who clearly loves pastry, and loves to talk about it. She is currently an instructor at the Le Cordon Bleu California School of Culinary Arts in Los Angeles, and it’s clear from both talking to her in person and going through her book, that she is very accomplished at imparting what she knows about baking. I was beyond thrilled to learned that Cindy had begun her own culinary education at none other than Tante Marie’s Cooking School – hey, if my endorsement of that school isn’t enough for you, take it from Cindy! After finishing the culinary program, she worked at Chez Panisse, and was part of the Baker’s Dozen, the renowned Bay Area baking group founded by Marion Cunningham and including such baking luminaries as Alice Medrich, Peter Reinhardt, Flo Baker, David Leibovitz, and Lindsay Shere, among others. What an amazing time that must have been in American baking, and Cindy spoke of those days with obvious fondness. She eventually made her way down to Southern California, and found a new home at the Le Cordon Bleu California School of Culinary Arts, where she helps decipher the mysteries of pastry to eager new students. Since most of you know my opinions about pastry school, I asked her about her thoughts, and her response was gratifyingly similar to mine: she really believes that prospective students should get as much practical experience as possible, to get a realistic view of what a culinary career entails. Like me, she said she was often surprised at the students who would come to class with goals that did not seem to be in line with what they would learn, or be doing after graduation. However, she still strongly endorsed the value of going to culinary school, for those who were serious about a career in food. Although real world experience is important, she also emphasized that there were many things taught in a formal classroom that one might never learn just by working in a kitchen; a teacher’s guidance that might help elevate you to the next level. Cindy, like all the best pastry chefs, I suspect, is a strong believer in understanding the science behind baking, and that’s what she tries to teach her students. She really wants them to understand why recipes work the way they do, what role each ingredient plays, and how different techniques work. I talked with her about the frustration and fear of writing recipes and having turn out poorly for other people; she believes that many times recipes don’t work is because the person didn’t fully understand what was going on, and did something wrong or different and didn’t even realize it. Also, an experienced baker will understand there are many variables that can affect a recipe: humidity, temperature, ingredient freshness, oven size, etc. A baker that is aware of these variables might be able to compensate for them if it’s a rainy day or the pan isn’t the right size, but a less experienced baker might not know the difference and then wonder why the recipe didn’t turn out as expected even though the recipe was followed seemingly perfectly. What Cindy does as a teacher is to make her students aware of all these things, so they are more aware as bakers and have more understanding and control over how their baked goods turn out. Now, doesn’t she sound like the perfect person to write a how-to baking book? When I asked Cindy how this book project came about, she said that Sur la Table approached her and asked if she would be interested in writing a comprehensive guide to pastry. Although she was not sure what she could add to the long list of baking resources already available to both home bakers and professionals, she decided she wanted to do it. I’m glad she did – despite her modesty, Cindy has a lot of very valuable knowledge to share with all baking enthusiasts. The scope of the book is most impressive: it really does cover just about everything in the bakers’ repertoire, from cookies to cakes to breads to laminated doughs. Every section begins with a short primer on the category, going over basic concepts and techniques; these introductions are great references. 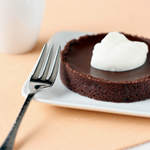 The introductions are followed by recipes ranging from simple must-knows for every baker, like tart crust and chocolate cake, to more creative ones to inspire you once you’ve mastered the basics. Looking through the book, I have to say I’m quite jealous of Cindy’s book-writing experience! Apparently she was given a good amount of time to write and test recipes, and pretty much had free rein to write whatever she wanted! I’m sure a great deal of that was due to the fact that the editors recognized her talent and knew to stay out of the way, and I’m thrilled that they respected her skill and wanted a quality product enough to give her the time and freedom to do her job well. Even if you already have “how-to” baking books, I’d highly recommend this book. It’s beautifully and clearly written, thoughtfully laid out, and just very well produced. There’s a wealth of information to be found in the beginnings of the chapters, in the headnotes for the recipes, and in the recipes themselves. Cindy includes “What the Pros Know” sidebars to helpfully emphasize little tips and tricks to make your baking better, like how to fold egg whites in batter without deflating them or how to improvise flavor variations for a recipe. Also, for all you who prefer to measure by weight, all the recipes include measurements in ounces! This is probably one of the biggest selling points for me, and made me totally fall in love with Cindy. Anyone who’s done any sort of professional baking knows that measuring by volume (cups and spoons) can so maddeningly imprecise, yet for some reason cookbooks continue to have only volume measurements. It used to be near impossible to find a cookbook for home cooks with weight measurements, but I think some authors are starting to have success, including Cindy, and that makes me really happy. Once you switch to a scale, there’s no going back! I also was very impressed with the range of recipes in the book: Cindy mentioned that even though the book was supposed to cover the basics of baking, she didn’t want to only include basic recipes, which might be limiting for some people. So she fought to also include some more difficult and interesting recipes so the book would appeal to bakers of all abilities. Some that really jumped out at me were: Raspberry Souffles with Hidden Chocolate Truffles (cover photo), Rustic Olive and Thyme Bread, Coffee-Cardamon Pots de Creme, and Warm Cranberry Crumble Tart, which is what I made for this post. When I asked Cindy about her experience teaching students, she said that the two things people always wanted to know was 1)how to make flaky pie dough, and 2) how to temper chocolate. I decided that I’d have to try her pie dough recipe after hearing this, and it’s a real winner. Just flour, butter, a tiny bit of sugar, salt, and water, and following her directions it becomes the flakiest, golden, perfectly-shattering-in-your-mouth crust. Filled with cranberries and topped with a sugary streusel topping, it is a simple but dramatic-looking dessert perfect for Thanksgiving! My boyfriend gobbled up the first batch of small tartlets I made; I baked a second larger one for my office party today and it vanished in minutes! I could wax on and on about Cindy’s book since there’s so many great things to say about it, but I think they best thing I can say it to go find it at your local bookstore. Or, you can win yourself a copy! Yes, I’m going contest crazy and holding another giveaway! I have one copy of The Art and Soul of Baking to give away to a lucky person. Again, to enter, simply leave a comment to this post, and tell me the one pastry item you’d really like to make or master – your holy grail of pastry, if you will. Thank you, Cindy, for a wonderful chat! She is a truly lovely person and if you are lucky enough be around Los Angeles and Le Cordon Bleu, perhaps you’ll be able to take a class from her. Or get a copy of The Art and Soul of Baking: it’s like a pastry course in a book, the next best thing to going to pastry school! Happy Thanksgiving to all of you! I hope you all have a wonderful weekend with your loved ones, and get ready for the holidays and all the deliciousness it will entail! P.S. It’s really late and I need to get some shut-eye – I’ll post up the recipe for the cranberry crumble tart tomorrow, if there’s interest! Thanks! I love your blog, Anita. And congratulations on your book! I always fail when the weather is warm, however hard I try to keep averything (bowl, whip, cream) cold during the process! I loved this post, I’ve recently became obsessed with pastry and I just can’t get enough. Over the past few days I’ve made the same tart 4 times in an effort to get the crust correct. For some reason it’s just my achilies heel! Even the thought of it is giving me goose pimples! I’d love to win this book, it’s not often I come across an American cookbook with weight measurements. I’m excited!! b) I’d love to master Eclairs, with pillowy, slightly chewy pastry, rich, eggy cream and chocolate that sets and shines beautifully, but doesn’t crack when you bite into it…. I sure miss wandering around Sur la Table and browsing through all their cookware. At this moment, I’ll probably want to be able to make macarons that turn out well everytime. They are just too “random” and unpredictable! Thanks for yet another generous giveaway. Sigara Börek, without a doubt. I am not much of a pie lover, a sad fact based on my family’s reliance on Tenderflake pie crusts. Perhaps, I have thought to myself, if I learned to make a proper pie crust (one without LARD!) I’d love pies and tarts as much as the next gal. Dessert is all about expectation, I think. Clearly, I don’t remember pie crust as a melt-in-my-mouth delectable experience and, therefore, it always disappoints. Thanks for such a thorough post. It’s one of your strengths as a blogger. That looks so beautiful and delicious! I have already baked my Thanksgiving desserts, but I’m ready to head back into the kitchen with my extra bag of cranberries–recipe please! Once again, Anita, congrats on your book! I really like making chocolates, and working with different kinds of chocolate, it’s almost in between science and art. I love it. 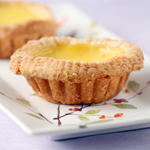 the famous Portuguese egg tart!! I would love to master the flakiest, tenderest, turns out perfect every time pie crust. I make a good pie crust but have a couple of different recipes depending on if I need to prebake the crust or not and I would love to have one go-to, great for everything crust recipe. Thanks for the chance to enter. Eeeeek! I’m so excited you’re giving one of these away!!! After reading your post, I’m dying to get my hands on a copy of Cindy’s book!!! Baking is something I’m really passionate about but still really new at – I really want to learn as much as I can. 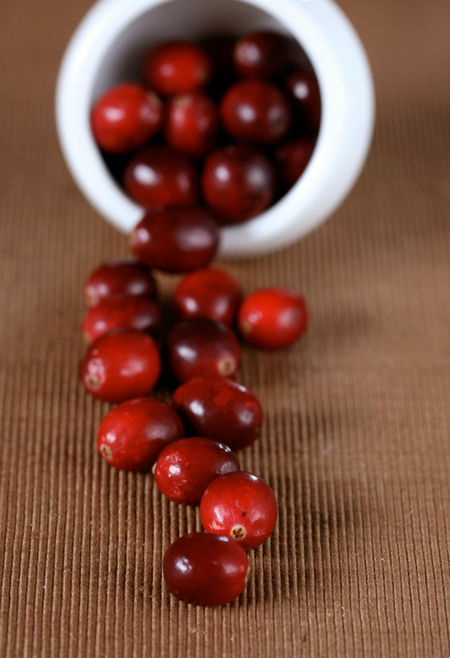 Can’t wait to see the recipe for the cranberry tart!! Thanks a lot!!! I love your blog, your recipes, and your generosity! Thank you! I would like to make puff pastry but my kitchen is too hot and it´s imposible to do. 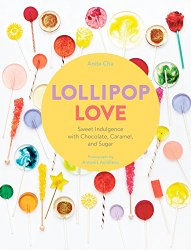 Anita, congratulations on a wonderful book! Good to know you’re already thinking about another. I’ve really enjoyed Cindy Mushet’s Desserts: Mediterranean Flavors, California Style for a long time. 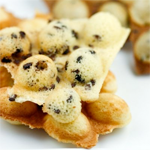 It offers so many wonderful and simple desserts. Happy to hear of her new work thanks to you! I would love to make custard pie. This sounds like a wonderful book and I’m really pleased to hear that it includes weights. Even though they are in ounces rather than metric, it is still a big step in the right direction! I’ll certainly pick it up for a look if it ever turns up in my local bookshop! My “holy grail” of pastry would be a vegan angel food cake- I’m close, but not quite there! I love pain au chocolate, so to be able to whip up perfect ones anytime would be a dream! I’m not sure if this went through, so am resubmnitting. Please post the tart recipe asap. I’d love to include it in my Tie One On Day delivery later today. I enjoyed your interview with Cindy! And were I to master a pastry, I’d love to know how to perfect petits fours. I love to make flaky pie crust. Crisco is the key! So bad for you, yet so good. I have a great recipe and I would love to have one day just for baking. I’d love to master the shortbread crust that’s not too sweet and tastes light. 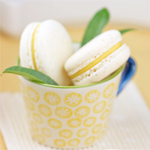 I’d love to master macarons. I’m getting better, but I want mine to be beautiful! croissant! i love it so much, but the process just freaks me out. would love to try my hand at it one day! Phyllo dough… I’ve heard that they’re practically impossible to make at home. Even professionals buy them ready-made. 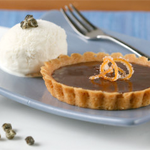 I’d really like to master the perfect butterscotch pie, I just can’t get one with the filling have great taste and texture. But I’m also very whimsical and next year will be something else. This sounds like a great book.. I would like to make the perfect mousse. Hmmm… One recipe I keep messing up are almond “tuiles”. The batter never has the right consistency, it’s always either too thick or too runny. I would also like to be able to make bread someday. Hi. I would love to try making custard squares (cold custard layered between sheets of flaky phyllo).I just love anything made with phyllo. Another to try would be the Napolean – Chinese bakery-style (2 layers of almond meringue-like filling nestled between 3 flaky phyllo layers). would love to learn how to make flaky crust for samosas or empanadas! 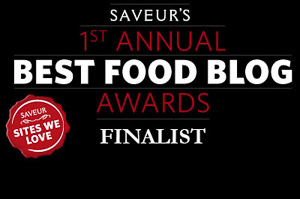 something for savory…thanks! Hey Anita… I am so excited to hear about this baking book with weights and measures… and i would love to master the art of a good flaky & light croissant. Anita darling, i am a fan and the cookies book has just been delivered.can’t wait to try a few recipes. congratulations. This book sounds great…the one thing that I would really love to master is puff pastry. It never seems to come out right! But you know what I’ve never tried–mainly due to fear that I just don’t have room in my postage stamp size, no counter space NYC kitchen–that I would love to make someday? Strudel. Sigh. Oh, I’m sorry, now I have to add to my previous comment. I can’t believe I didn’t think of these. I would love to decorate better, but I know that’s just a lot of practice. And I would love to be able to temper chocolate more consistently and make molded, filled candy. That’s definitely a holy grail for me. Sometimes my chocolate tempers, sometimes it doesn’t. I drive myself crazy with this. Happy Thanksgiving! I’d love to get the “pie thing” (as my kids call it!) down. We always have a store-bought waiting in the sidelines just in case. 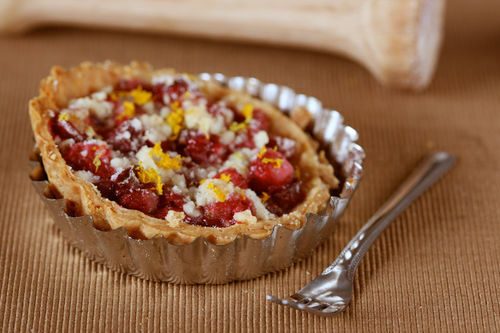 Those Cranberry Tartlets look like a keeper! So pretty! Happy Thanksgiving! 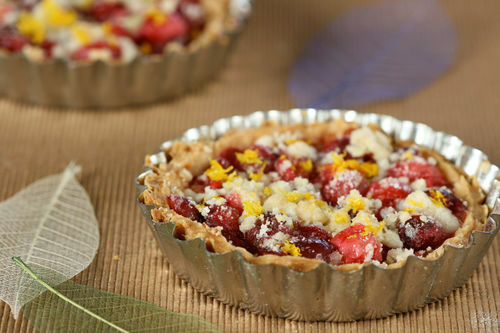 Can’t wait to try the Cranberry Crumble Tarts! I’m looking forward to the recipe! I’ve been making truffles for over 20 years and now I’m trying to find the “perfect” chiffon cake recipe and adapt it to making cupcakes. Also intrigued by the Raspberry Souffles with Hidden Chocolate Truffles from the book. I’ve been wanting to get into sugarcraft for years now – it was the reason I first started taking pastry classes years ago, although I had to drop out the semester before we finally got to the holy grail. Now that I have a commercial kitchen to play around in (read: mess up), I might give it a shot after all! I have to say that pie crust is one of my things I would love to master… I hate it when my pies aren’t pretty and not as yummy as I’d like! Pie Crust and all things crust. Congratulations on your book and I just love your blog. 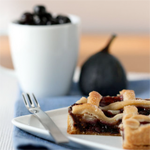 For the pastry question – I would love to learn how to make puff pastry. 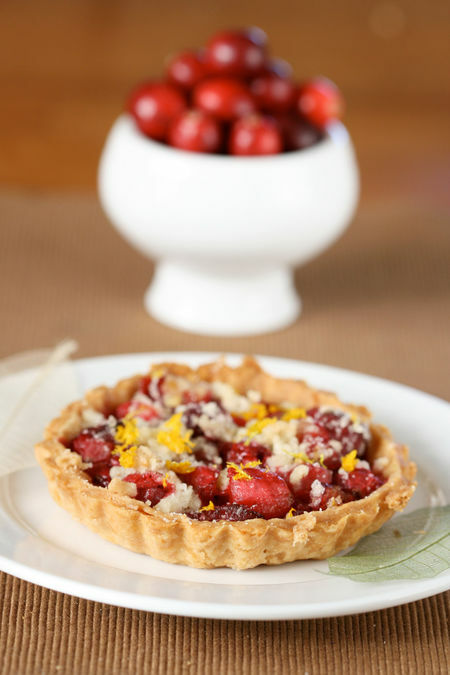 The tarts are gorgeous and I love cranberries. So festive!!! The book sounds very educational. I have been to Le Cordon Blue in Canada and it is a great culinary school. I would like to be able to make puff pastry. 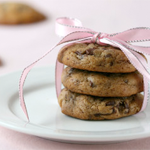 Hi, Anita: I have just clicked on Amazon for your new Cookie book and the book by Cindy Mushet. Thanks for the most excellent review. Am really looking forward to getting these in the mail. Congrats on your book Anita. And thanks for the review on this wonderful book. Sur la Table is one of my fave stops whenever I visit the US. That tart does look ever so pretty! I love apple pies, but I can never get the crust right! 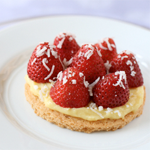 What a gorgeous looking tart…so happy the recipe is avaliable too. I just come back from a week-end in London, and I brought back…. a copy of your book! Boy, was it difficult to find… We went in four different librairies to finally find it, because the others were out of stock / too small to have it. But I have it now! I must admit I did not know your blog before, I discovered it with Tartelette review of the Field Guide, then in Cannelle & Vanille. When Bea also added her review, I had to buy it! So congratulations on your book!! I’d love to be able to make proper danish pastries and croissants. I’ve tried both but my kitchen is invariably either too hot to properly form the finished dough; or, ahem, I didn’t follow directions properly. That and it seems as if the directions in even Martha and Jacques Pepin are not quite as complete as they need to be for a complete novice. So, I stumble along as my donees gobble down the failures and I remain frustrated knowing they could be better if only. Thanks for the post and I’m looking forward to that recipe. Especially the pie crust technique. I’m a newbie to blogs and this site but it’s yummy. I’m just matriculating from home baker to science based baking. 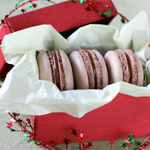 My dream is to master perfect macaroons. I hope the new Hermes book on the subject is translated soon. Till then I’ll just keep questing. I’d love to know how to make puff pastry from scratch. Especially a gluten free one. Pastry cream. I have tried many times and always end up with grittiness rather than a pure silky texture. Congratulations on the release of your book, Anita! I am eager to purchase it, and hope your work will serve as a great catalyst in the kitchen. I enjoy reading your blog, and have mentioned it to several friends. I digress. I would love to master the art of working with yeast (i.e. 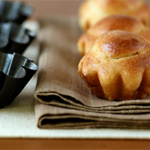 am dying to make schnecken–pecan rolls–and Babka), as I tend to shy away from it. I also want to hone my skills for the filling of cherry pie. It is always too watery or too thick. My toughie is puff pastry too – I mean I got it right the first time but the third time I tried mille fuilles I knew I had a lot to learn!! The book looks wonderful, and those tarts! I’d love to be able to make croissants. Thanks for all the fun pictures and posts. I would like to make good macarons. I enjoy to cook them but my result is not good enough!!! I’m pleased to report that I’ve been making great pie crust for so long that my husband calls me the Pie Queen! Cakes, though…all and any sort…are still intimidating. Sometimes they come out just right, sometimes not. I don’t always understand why. With both you and Dorie endorsing this book I know it’s one I have to have! All of pastry is what I’d like to be able to achieve!!! Right now it’s cream puffs though. Finally I received your book,what a little treasure!! Now I don’t have many time to bake,but with Christmas time I will make sure somethings good (whoopie pie!!!). Now I see an other very interesting book about baking!!! What I like to master it’s “eclairs”,so intriguing!! !Whit variuos fillings,each time they are a very surprise!!! But for me every time I try it’s a surprise how they come out of the oven!!! I stumbled onto your blog when looking up World Peace cookies, and have been reading regularly since. I would love to master really good pie dough made without lard (it is impossible to find anything but ‘suet’ around here).